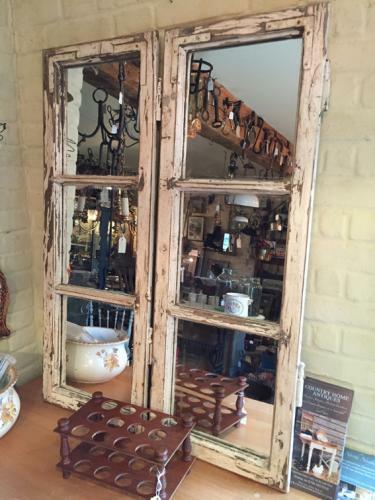 Antique Mirrored French Windows in old White Paint. These 3 panelled windows have original worn paint with lots of personality. We have clear waxed the frames and changed the glass for mirror panels. They look wonderful on the wall and are priced separately but can be bought in pairs.